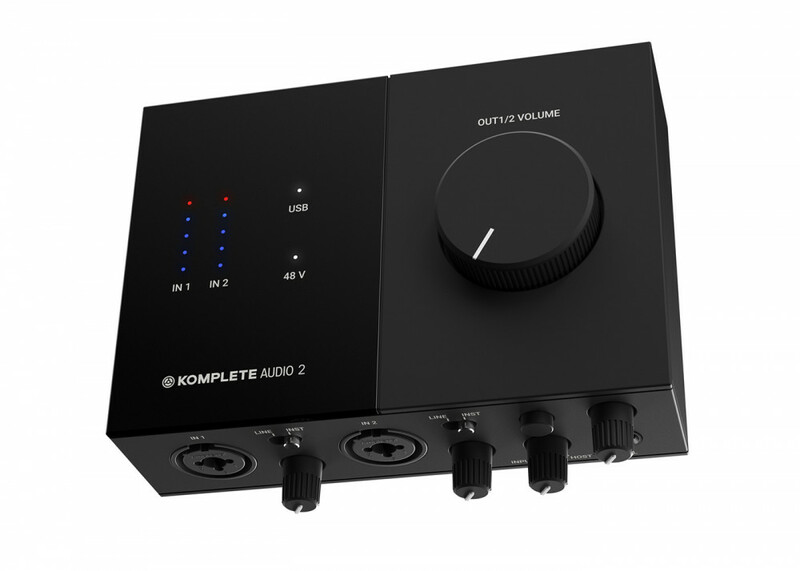 The Komplete Audio 2 is a high quality interface with 2 balanced inputs and outputs making it ideal for studio use. The Komplete Audio 2 is a great solution for musicians, performers and beat makers. 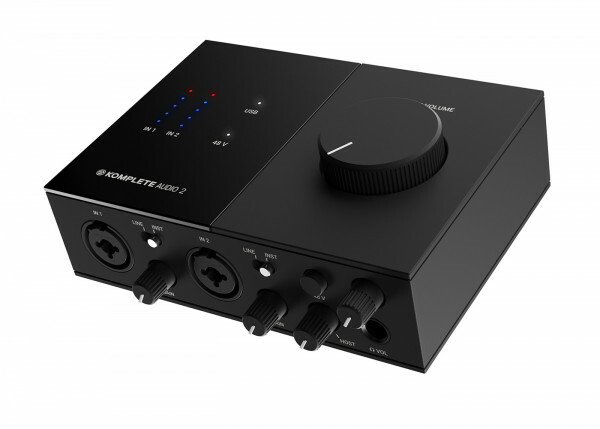 The new Komplete Audio 2 interface features 2 high quality inputs using combi xlr / jack connections both with 48v phantom power. These inputs can also be set as line or instrument level at the flick of a switch. 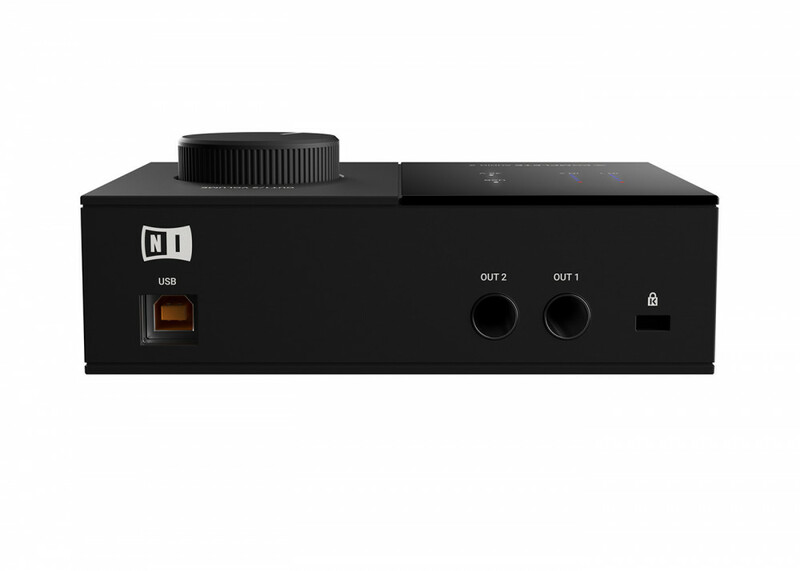 Each input has its own gain control to mix your sound as you like it. 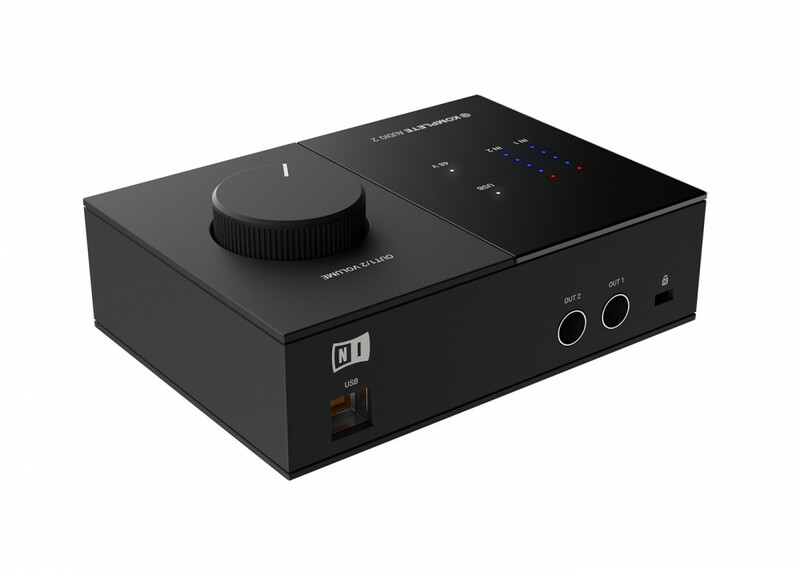 There's a headphone out with its own level control and mix control as well. 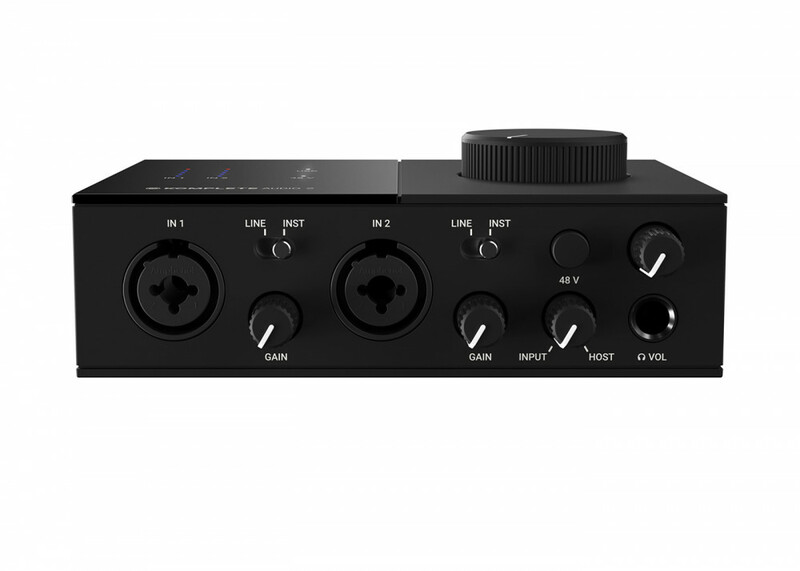 The master output uses two balanced jack connections to make it easy to hook up to a larger mixing desk or active monitors. The large level control at top of the Komplete Audio 2 together with the LED meters make it easy to get your levels just where you need them. 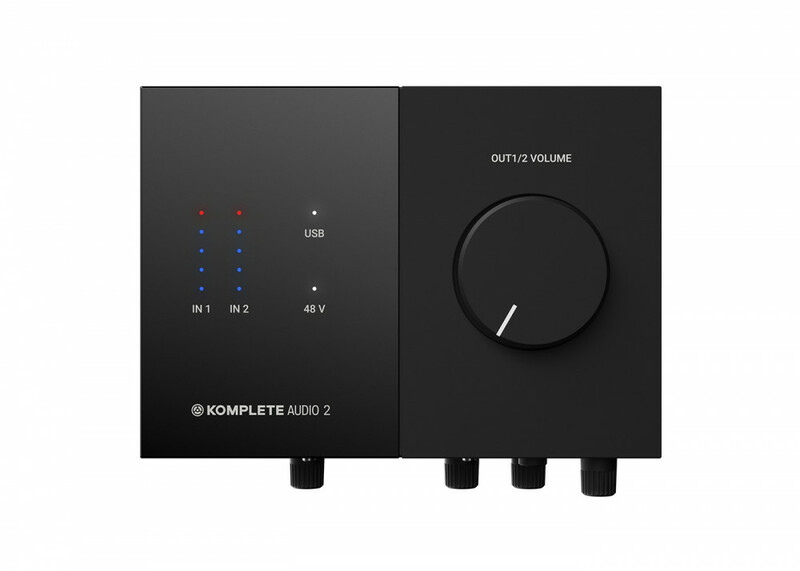 Seen the Native Instruments Komplete Audio 2 Cheaper?